"I’ve used SOUND FORGE since the mid 1990’s. Mastered and edited many great records, movie soundtracks, etc. It's an amazing user-friendly software that can travel with you on your career journey no matter how high it takes you. Using Ozone 8, Wave Hammer, and the graphic EQ in the new SOUND FORGE Pro 12, I was able to create a great sounding master. You don't have to own all these expensive 3rd party plugins to get an expensive sound. The plugins included in SOUND FORGE Pro 12 can get you that million dollar sound without having to spend a million dollars! I love this program. It "feels" beautiful!" "After 25 years in the music industry, I've seen a lot of changes. One thing that hasn't changed is my ability to rely on SOUND FORGE as my main mastering program. It has everything I need to ensure great sounding audio. With various audio formats being used, the POW-r dithering insures that I get the best quality possible. It's absolutely incredible." "For the past seventeen years I've used and still continue to use SOUND FORGE Pro as my No 1 Go To for all my Post Mix Editing including a 2014 Grammy Nominated Blues Album I Produced, Engineered and Mixed for Blues legend Bobby Rush! The new features of SOUND FORGE Pro 12 are so brilliantly crafted – I am so thrilled with the new 64bit and VST3 Support. They now allow me to seamlessly move my workload from my in-house studio to my touring studio! The new Audio Restauration features are also all right out of the box more powerful in the newest version. I am blown away how far SOUND FORGE Pro 12 has advanced in the quality of time stretching! Absolutely stunning!" "I have been using SOUND FORGE since version 6 many many years ago. It is the best and most powerful editing and mastering software out there and very accessible for the blind. MAGIX has made the software even better after they acquired the product from SONY! In SOUND FORGE Pro 12, you are provided with more powerful tools, better layout, better pricing and amazing tech support! If you want to edit like a pro, this is the software solution for you!" Compositore cinematografico e televisivo nominato al Grammy, compositore istantaneo ed ex artista della Motown. "I make primarily electronic music for games, and the tracks - when exported - have to loop seamlessly. What DAW I use to create music has changed over the years, but SOUND FORGE has remained the one and only piece of software I use to check looping points and edit my masters. I've been using SOUND FORGE practically daily since 2000." "As an artist and avid Samplitude user, the new SOUND FORGE Pro 12 works seamlessly along with my DAW. It has so much power for noise reduction and I love the Clipped Peak Restoration option and the fact that all your VSTs also appear in FX Favourites. For both pre and post final production of full tracks, stems or individual files, SOUND FORGE as a classic software is something that should not to be missing from any home or professional studio setup!" 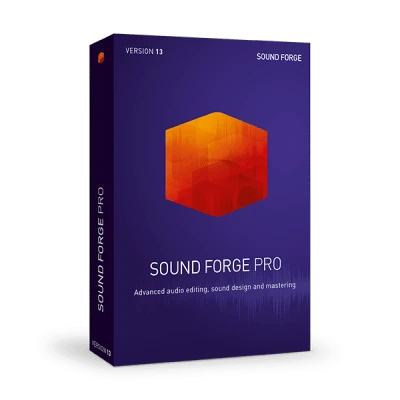 "SOUND FORGE Pro is an excellent DAW for recording or mixing. The metering is great and included signal processing tools are very useful. It hosts all your favorite plug-ins and provides you with both a native restoration suite and iZotope RX Elements so your tracks will be free of common demo-quality problems like vocal ticks/pops. Plus if you get SOUND FORGE Pro Suite, you’ll get a full modeling suite and the unbelievably powerful spectral editing tool SpectraLayers Pro. When mastering from stems the editing in SOUND FORGE is seamless, easy, and fast." 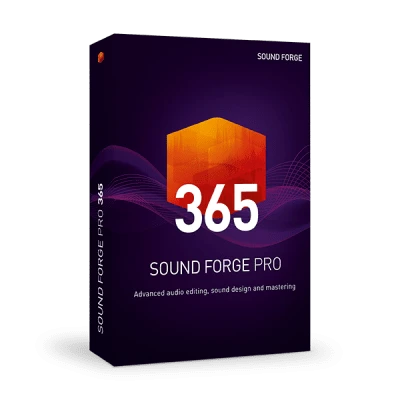 "SOUND FORGE Pro is a reliable tool for easy recording, cleaning up audio, handling and converting files manually and automatically." "For detailed audio editing work, Sound Forge allows me to get the job done with a minimum of fuss. Top-notch stuff." Qui puoi eseguire l'aggiornamento alla ultima versione o prolungare il tuo servizio di aggiornamento ad un prezzo speciale. A tal fine, tieni a portata di mano i tuoi dati di accesso all'account o il numero di serie del tuo software. Special offer available now: Get the 1st year for only €119,88 instead of €179,88. Starting the 13th month - €179,88/year. Altri nomi di prodotti citati sono marchi di fabbrica delle rispettive aziende produttrici.